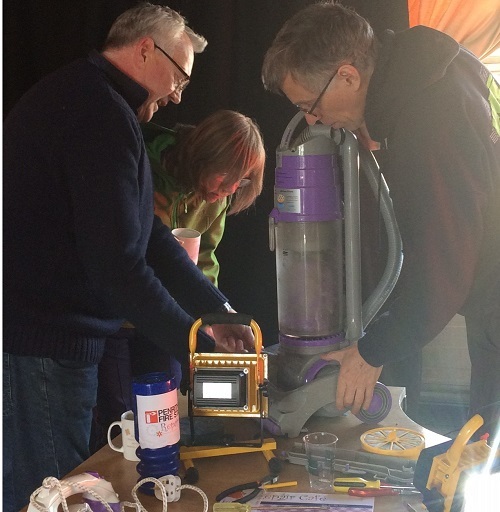 I helped out at Eden Art's first Repair Cafe in Penrith last Saturday, 22nd April 2017. 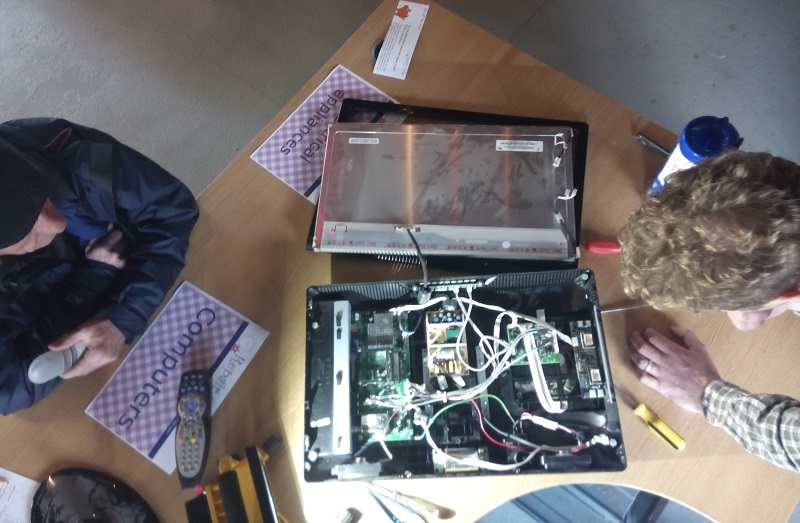 I was kept busy with Simon at the electrical and computer repair table for the whole session. We looked at a TV/DVD player, two toasters, two digital cameras, a light and a vacuum cleaner. We fixed some of these, found what part was needed for others and had to give up on a couple of items. 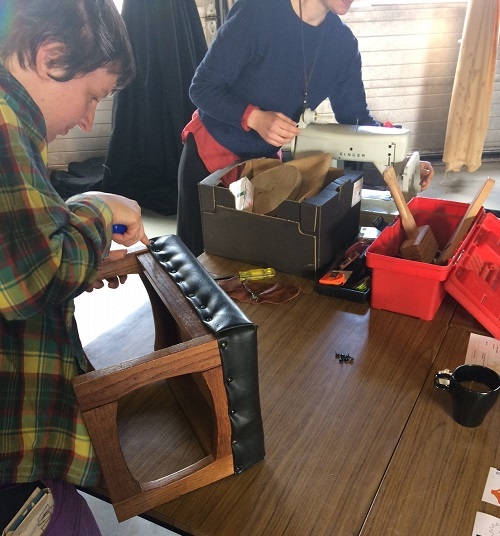 More on local repair cafes. Thanks to Bryony and the team at Eden Arts for a well organised first cafe. 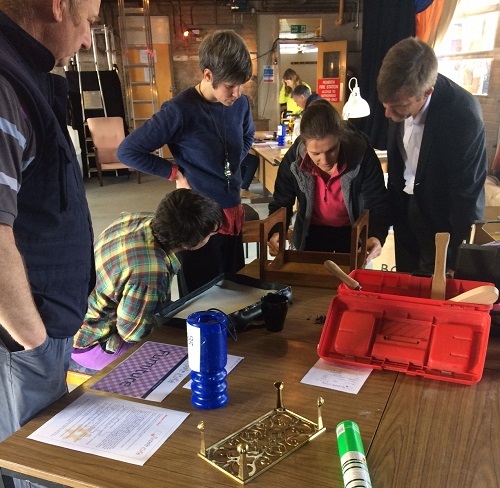 They had instructions from Repair Cafe International so had forms for visitors to fill in when you wanted an item repaired, a separate feedback form, the “house rules” and information for visitors and helpers. The house rules in effect say that any repairs were done by volunteers and there was no guarantee that any item could be fixed or on the quality of the repair. Everyone that I saw was happy to have something done at all to fix their broken item. This was the first event in the area so no one knew whether anyone would turn up at all and what they would bring. 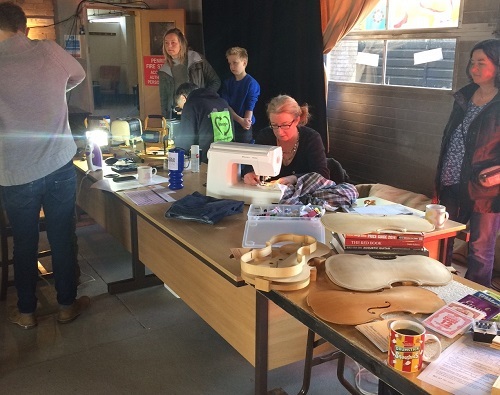 A Guardian article on repair cafes has listed the seven easiest things to fix: lamps, laptops and smartphones, hair dryers, kettles, vacuum cleaners, toasters and white goods. Eden Arts also had fairly strong glue, but having some epoxy resin and superglue to hand might have been useful. We were very careful when looking at electrical items. We were using a power line that had a circuit breaker and an RCD. We unplugged the device while doing anything and if necessary waited for any stored charge to dissipate. Our first item was a TV/DVD combo- it's power light came on when switched on but wouldn't do any more. We checked the fuses and took the unit apart; there appeared to be no disconnections or places inside where something might have burnt out. We did get a DVD out but had to give up; it might have been worth trying a new power module inside the box, but that would have been pure guess work, even if the module were available to buy somewhere. Simon had more luck with two digital cameras; one needed a new screen which he was able to find was available on eBay for a few quid, so it can be fixed later; the other was fixed I think. He also suggested a repair for a dimmer touch light. By coincidence I had two Dualit toasters to look at. The first had four slots in pairs; one half wasn't working. After some dismantling I was able to see that an element wire was broken. In a quick look online I found some instructions for replacing this with a suitable element; it still did look like a tricky job as it didn't seem easy to replace the element. The family are going to look things up themselves and perhaps give it a go. The second Dualit only had two slots; I couldn't see anything wrong so had to give up; I suggested that they offer the toaster on the local Freegle, making sure to say that it is broken. 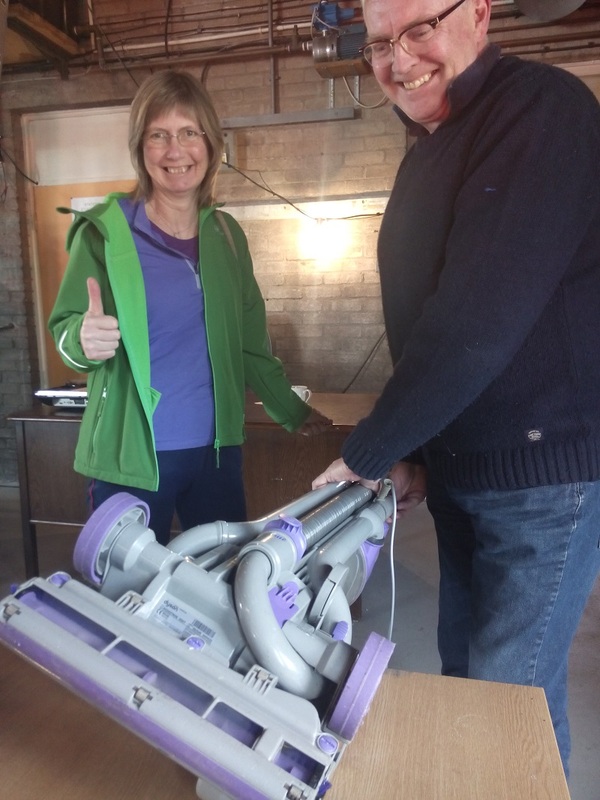 My final task with Adrian was to work on a Dyson vacuum cleaner brought in by Penny. Adrian had previously had a Dyson and so recognised the whine that happens when an airway is blocked; soon enough a coin was found and dislodged using a Heimlich manoeuvre, ie turning it upside down and whacking! Next, the brushes weren't going round; this turned out to be two problems: the belt can somehow got melted into its channel – brute force freed it up – and the 'bearings' at either end of the brushes were very sticky/stiff. Some UB40 freed it up. Penny and Adrian looked very pleased to have fixed all these problems. While doing these fixes, I tried to get the visitors to help if possible including some of the kids. I was so busy I didn't see what else went on, but there was lots of good chat and networking going on – and happily partook of coffee and biscuits. 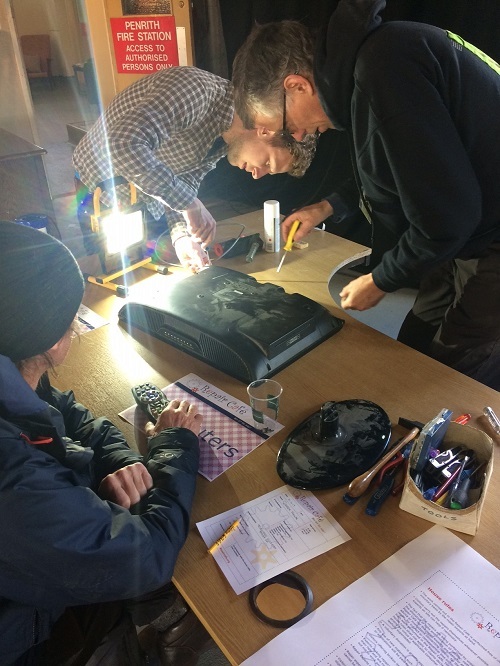 Eden Arts have just arranged for another Repair Cafe at the Old Fire Station in Penrith for 24th June from 10am to 1pm., Meanwhile in Kirkby Stephen there are Repair Cafes organised for 3rd May, 7th June and 5th July at Kirkby Stephen Community Arts from 2pm to 4pm. Some more photos of the event from Bryoney - thanks!